Tables and charts are some of the most commonly used elements in Google's Drive suite of apps, but they can be a little clunky on mobile. Today, Google has updated Docs, Slides, and Sheets on Android to make these organizational tools easier to use than ever before. 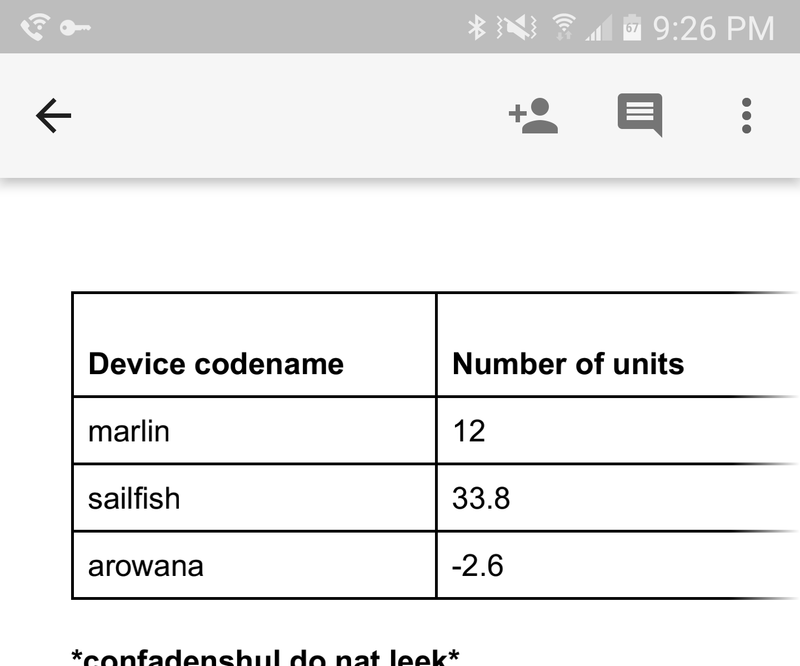 After the update, copying cells from the Sheets app and pasting into either Docs or Slides will automatically produce a fully formatted table. However, this functionality won't work with selections of more than 400 cells (you should probably be doing that on a computer anyway). Be aware, all three apps need to be updated to take advantage of the new auto-formatting.